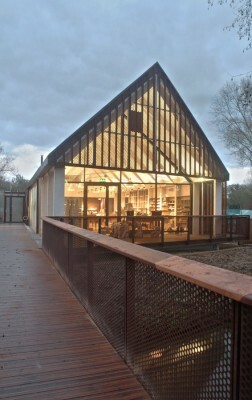 National Trust opens new Welcome Centre for Mottisfont set within a Site of Special Scientific Interest (SSSI) and featuring a landscape strategy by Grant Associates. Located on the banks of a tributary of the river Test in Hampshire, Mottisfont’s new, wood-built Centre is part of an environment that includes ancient trees and richly biodiverse meadows, which serve as a flood plain. 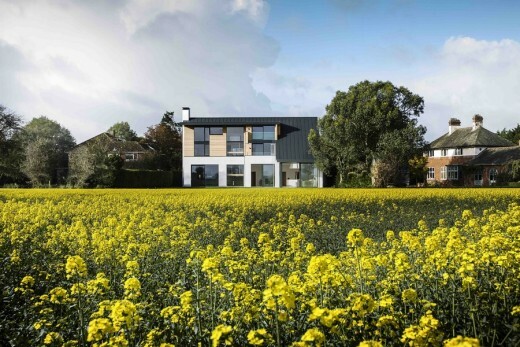 Grant Associates has worked in close partnership with the Welcome Centre’s designer Burd Haward Architects to ensure that every aspect of the new building and its surrounding area fully responds to the importance of the site’s SSSI status and protects the function of the flood plain. 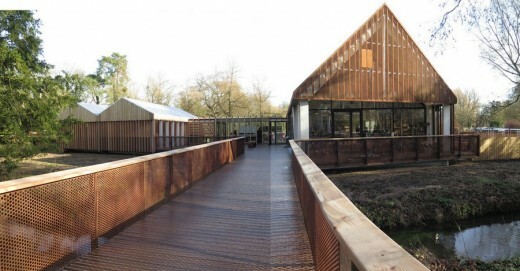 Interventions to minimise the impact of the scheme on this sensitive environment include, for example, the use of raised, timber walkways to connect the new visitor amenities to the priory and gardens. With a strong focus on sustainability, the Welcome Centre is supported by steel stilts that help to protect the drainage function of the peat soil beneath. 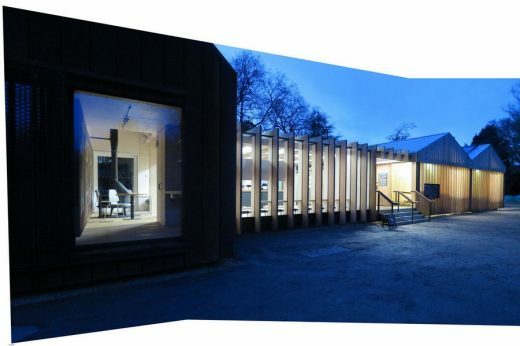 Other sustainable features include a log-fuelled biomass boiler (supplied with wood from the estate), and solar panels on the roof. The £3.5m scheme was created in response to a rapid increase in visitor numbers to the 13th century priory and its gardens. 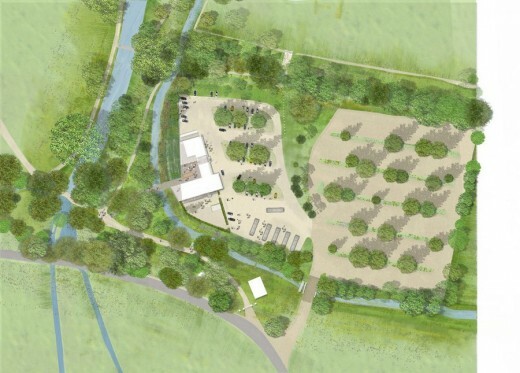 The creation of a detailed landscape strategy, which demonstrated a sensitive response to the site’s delicate ecological and historic environment, was a key factor in securing planning for the new Welcome Centre. Peter Chmiel, Director at Grant Associates, comments: “We are very proud that we were able to contribute to the improved visitor experience and facilities at this historically important and popular National Trust property. Disestablished 13th-century abbey filled with historic interiors and surrounded by mature gardens.